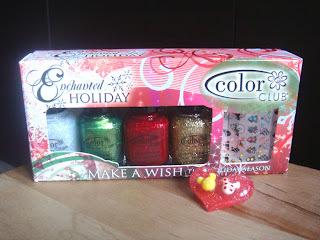 I have a quick update about my Festive Giveaway. There will be a second winner who will win the goodies below. 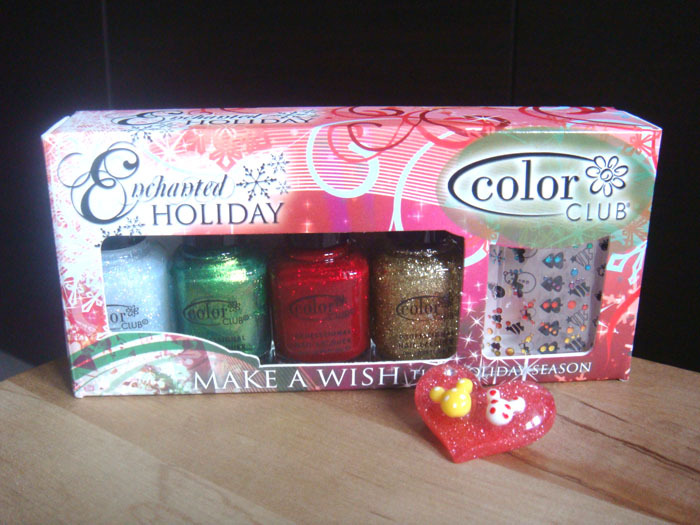 Color Club Enchanted Holiday mini pack which includes 4 mini polishes and a sheet of Christmas themed nail stickers and a heart shaped Mickey Mouse brooch. 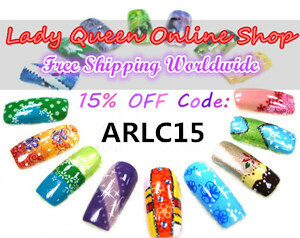 I ordered this set specifically for my giveaway and since it arrived a bit late I decided instead of adding it to the first prize, to double the fun and add a second winner too.